SEPTEMBER 2015 was an eventful month in Papua New Guinea. The country hosted the 46th Pacific Island Forum meeting and reportedly spent $12.5 million for the 40th PNG Independence Anniversary celebrations throughout the country. Danish rock band, Michael Learns to Rock was hired to “rock” Port Moresby as part of the city-wide celebrations that cost nearly $4.5 million. These celebrations took place amidst reports of deaths from starvation as a result of a severe Category 4 drought in parts of the country. The ongoing drought is predicted to be worse than the last one in 1997. Drought was not the only problem the country appeared to overlook amidst the celebrations. Concerns were raised on the welfare of its economy. Some predicted that the country was ‘on the brink of a Greek-style crisis’ due to revenue shortfalls and a high deficit. 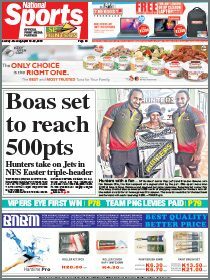 However, Prime Minister Peter O’Neill dismissed these predications as ‘misinformation and alarmist claims’ and assured the nation of a stable economy. However, drought and predictions of a failing economy were not the only concerns. O’Neill’s government was confronted with an even bigger dilemma, which overshadowed the September celebrations – the possibility of a vote of no confidence. On Sep 4, 2015, the PNG Supreme Court invalidated the constitutional amendments made by the O’Neill-Dion government in 2013 to extend the ‘grace period’ for a vote of no confidence against a government from 18 months to 30 months. Initially, section 145 of the PNG Constitution allowed for a government (including the prime minister) to be in power for a period of six months before a motion of no confidence could be moved against it. In 1991, Sir Rabbie Namaliu’s government amended the provision by extending the grace period to 18 months. It was argued that the extension was necessary to quell instability within the Government, often caused by shifting political allegiances. O’Neill may be right in that stability in the Government has been a concern since Sir Julius Chan successfully overthrew Sir Michael Somare in 1980 in the first motion of no confidence in the PNG Parliament. Chan would later reflect that the vote of no confidence scheme means a prime minister has to spend a quite disproportionate amount of his time and energy keeping individual politicians happy. The threat of a vote of no confidence not only appears to burden a prime minister to be constantly on guard against moves for a change in government, but increases the potential to engage in acts of illegality in order to maintain numbers in Parliament. However, the Supreme Court reasoned that the issue with the amendments is not about stability but accountability. The court held that ‘a vote of no confidence is an integral part and a legitimate process and procedure of a democratic Parliament’ that ‘should never be curtailed or suppressed’. Implicit in the court’s decision was the view that mechanisms of accountability should not be discounted at the expense of political interest. The court noted that in the last 40 years, PNG has had only three votes of no confidence so the need for stability is somewhat exaggerated. This is a significant decision because, while the 30 month grace period had already expired prior to the Supreme Court decision, the decision has increased the profile of no confidence as a tactic to use against the Government and may have made its use more likely. The prime minister did not attend the recent 70th United Nations General Assembly. 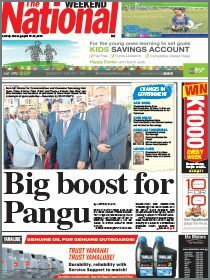 This may suggest that there is urgent business to take care of in PNG. Key members of O’Neill’s government have reaffirmed their support amidst reports of potential split within the coalition in light of the court’s decision. While O’Neill still has the numbers, one cannot rule out a move against his government given the mounting court cases and referrals from the Ombudsman Commission against him and his senior ministers, on top of the worrying economic forecasts. The opposition has already indicated that there may be a vote of no confidence in the upcoming Parliamentary sitting. With the national elections due in June 2017, potential challengers have nine months to move a vote of no confidence against the O’Neill government. The last 12 months of a government’s term in office is sealed from any vote of no confidence. Although the court decision was a little too late – it took almost two years since the case was initiated in 2013 by then Opposition leader Belden Namah and former Chief Ombudsman Ila Geno – the next nine months will be a busy time for political power brokers in Waigani. Bal Kama is a PhD Candidate at the ANU College of Law at The Australian National University. The views, opinions, suggestions and imputations made here are those of the author and do not necessarily reflect those of the institutions named or implied or this paper.